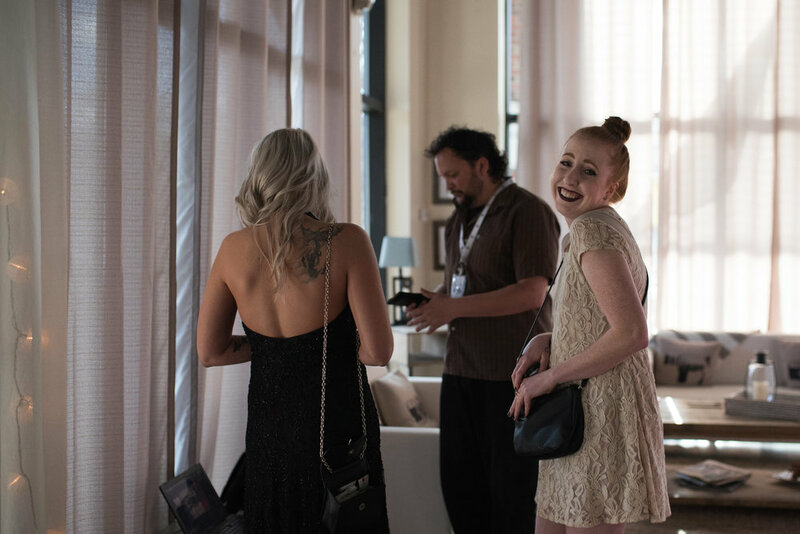 This April a group of 4 female filmmakers banned together to create a one-of-a-kind festival that highlighted independent filmmakers, showcased Asheville's diverse art and culture, while building up female directors, writers, actresses, and more called CatFly Film Fest. 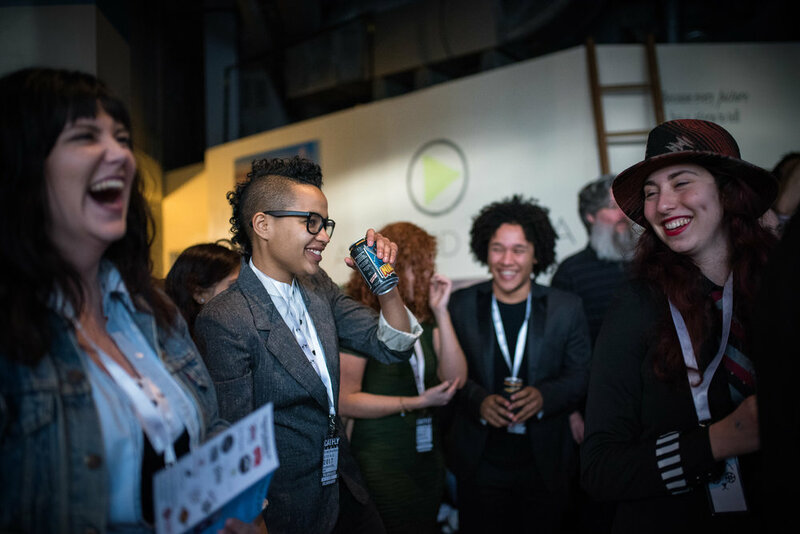 The three-day event was welcomed by Sold Out audiences and included screenings, comedy, entertainment, sampling of local food and beer, and more. To learn more about the festival read below. How did CatFly come to be? What inspired you to create a film festival? Madeleine, Cat, Keeley and I have all worked with each other on films in the past and knew we'd be able to pull this off. They're truly the folks I work with most regularly and it rocks to have such a strong team of female filmmakers on my side. We are all local filmmakers who want to make it in the industry and felt there needed to be a platform for us to screen our work, get some visibility and allow us to share what we make. 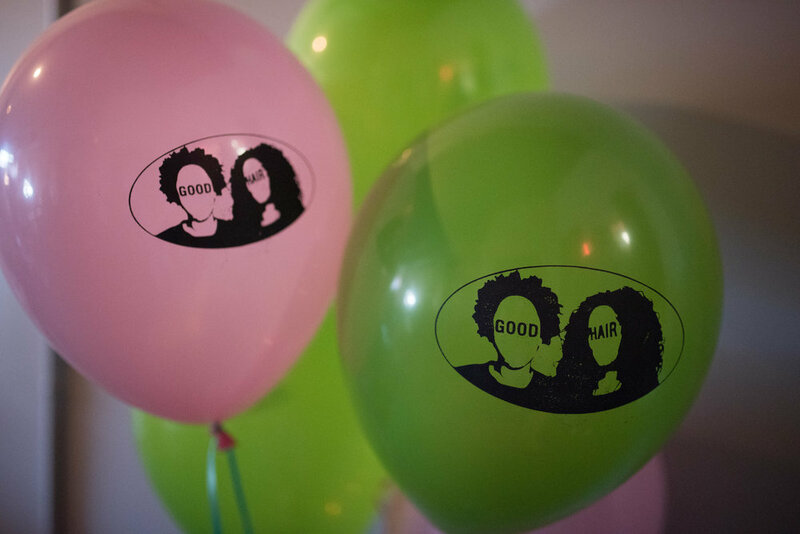 The idea for the festival started with Madeleine and I wanting to help organize the Asheville premiere of GOOD HAIR. The four of us (Madeleine, Keeley, Cat and myself) worked as PAs on the short film. My partner, Ted, is a producer and has been put in charge of helping Catherine Dee Holly and Fray Forde (the directors and co-stars) take the film on tour to festivals and screenings all over the country. I thought to myself, why not show some of our own films and films created by friends within our network while we are at it. From there it blossomed into a three day festival. We realized we needed multiple days so as not to overshadow their premiere or change the tone for the awesome comedy show Catherine and Fray had in mind. We decided we'd instead promote the premiere as a part of the festival and feature local talent as well with GOOD HAIR as a headliner. The four of us agreed it was really important to showcase Asheville local films (and Greenville, SC local films, they have a great scene) as well if we were going to show more films than just GOOD HAIR. We also knew Catherine and Fray were going on tour soon and we really wanted them to be a part of the festival so I thought it was best not to separate the events into different weekends. The GOOD HAIR folks were super supportive of the idea and seemed to really love how it turned out. We all saw it as a way to build community. I really wanted to put all my favorite filmmakers in a room together to hopefully plant the seeds of collaboration for the future. I believe a lot of cool people got to meet that may not have had the opportunity to do so otherwise. The festival turned out to be everything we wanted and more. Where did the name CatFly come from? 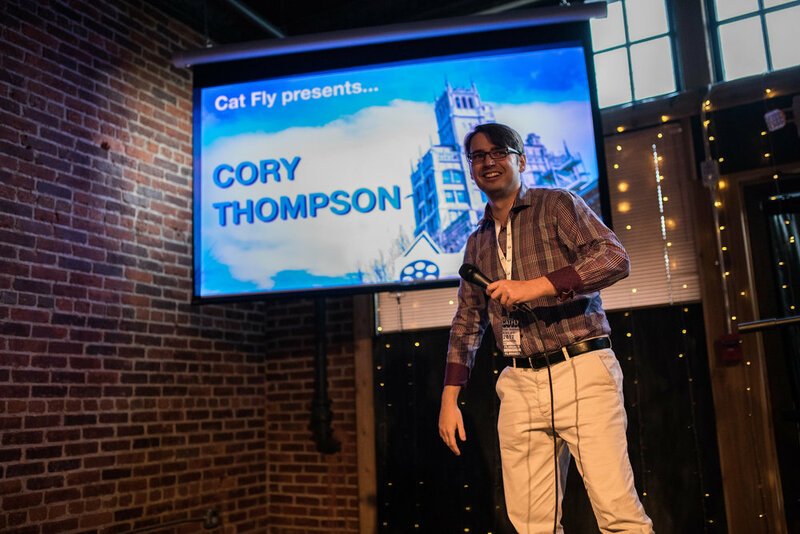 The name Cat Fly came together when my partner, Ted Kendrick, and I were on the couch bouncing ideas for festival names. We have pet cats, as do many of our team members. We even had two people-Cats involved: Cat Wityk, a local actor and filmmaker who's helped organize the festival and Catherine Dee Holly, the director and leading actor in GOOD HAIR the movie. My partner spit out the name Cat Fly and I liked how symmetrical it was and the sound of it. I thought it would get people interested because it's a pretty weird name. When I heard it, I saw a lot of imagery and knew we could come up with some really awesome branding. What advice do you have for young entrepreneurs in the planning an event ? I will say reaching out to the community for cool features is a great way to cross-promote. We had some awesome sponsors back us up. Our venues were all local businesses we cared about supporting and drawing a crowd to. 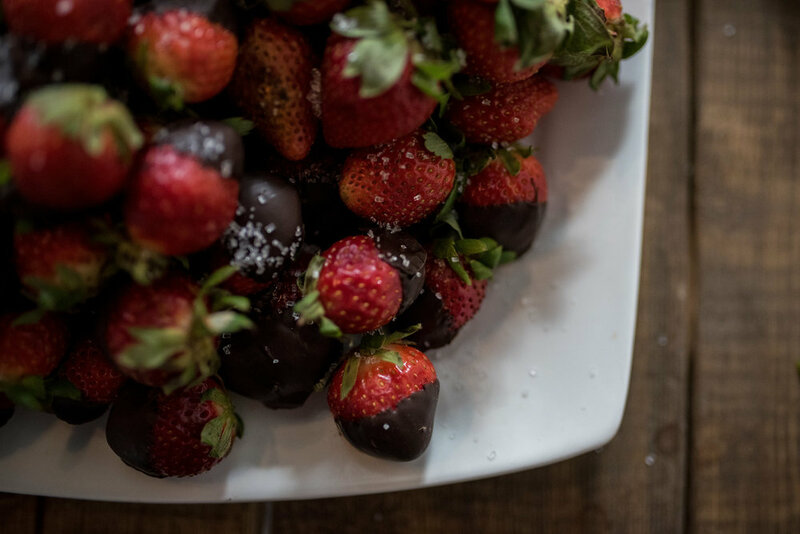 All the food from the opening reception came from Madeleine's mom's catering company, In Good Taste Fine Catering. She also catered the Filmmakers Brunch and provided us a ton of support on the other nights as a volunteer. 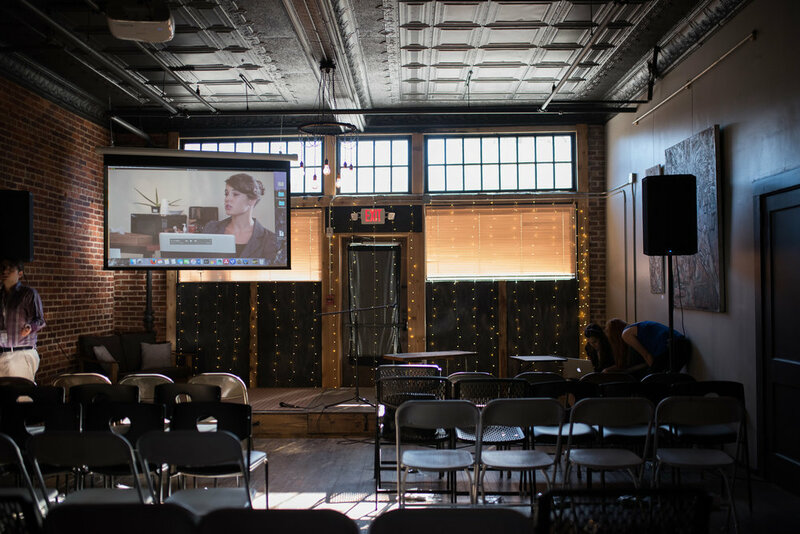 Talking Book donated an airbnb space for out of town filmmakers to crash. Asheville Pizza and Brewing hooked us up with gift cards. Asheville School of Film gave us raffle prizes and provided us a ton of professional/emotional support. A few other small businesses also provided us with not-so-small raffle prizes. Asheville Studios gave us 8 hours of studio time and 1/2 off rentals for up to a week (if you're a micro-budget filmmaker that prize could save you SO much money, truly an amazing value). The Bee Charmer and Gaia Herbs gave us gift baskets, Moving Feasts donated a food tour, and clothing prizes came from Nature Bound and Don Raven. Asheville Screen Printing helped us get our step-and-repeat and stickers at a discounted rate. I cannot stress enough how much sponsorship helped to make Cat Fly a success. Another bit of advice: count your money every day. It will give you a good gauge of what goodies you can add in last minute to enhance your event and what things just are not in the budget no matter how much you want them to be. Much like the films we were screening- we were a micro-budget affair. Had we not stayed on top of the budget every second, it would have been way too easy to overspend. We managed to make a small profit our first year which people keep telling me never happens. What practices did you find make organizing easier and more effective? This was our first year so there was a lot of trial and error in terms of organization. By the end of it, we definitely had things that worked and learned what definitely doesn't. We kept everything in a shared Google Drive Folder. That was the easiest way to make sure everyone had access to everything. We met regularly- almost every day by the last few weeks. That helped make sure we were all on the same page. Nothing beats being in the same room, hashing it all out on a regular basis as far as planning goes (Skype counts as being in the same room if one of your staff is remote). Spreadsheets for the budget were crucial. Projected ticket sales, ticket sales to date, expenses, who spent what: spreadsheets are boring, but necessary. We used spreadsheets for our film submissions as well. We listed each movie, submitter, run time and link to the screener which helped us piece together the programming puzzle much more easily than sorting through a million emails the night of submission review. Making sure we didn't oversell was a huge deal. Our ticketing site just was not cooperative with our weekend passes at all and had we not checked sales several times a day every day and logged every single one of them, it would have been a disaster. Their design features for the event page were great, but their backend was a nightmare for a multi-day event. Don't use Universe- that's a good way to make organizing easier. We were lucky enough to sell out every night, which saved us a lot of time and energy selling tickets at the door. We used Stripe which connected to Universe for ticket sales and gave us up-to-the-minute updates. Stripe told us the ticket purchaser's name and how many tickets they bought to which event, so we made a guest list, cross referenced it with Universe's "attendees" list and crossed people off at the door as they "checked in." One night was handwritten, based on the chronological sequence of ticket sales. The rest were on a alphabetized iPad spreadsheet. Do it the alphabetical way, trust me. We used Drop Box after we accepted films. All the filmmakers were asked to drop their files in our Drop Box so we could edit together a screening reel for each night. I'm SO glad we did that. It saved so much time and awkwardness going from link to link during the actual festival screenings. Next year I think we will do a submissions form rather than email inquiries. It was a lot to keep track of, but we definitely weren't expecting to receive so many. Originally we were going to do invite only submissions, but submissions kept coming in via email, mostly unsolicited (which was totally awesome!). Madeleine only put out one call for entries on the Asheville Filmmakers Group and I think there was only did one Facebook post on the Cat Fly page. We received more submissions than we had run-time to screen during the festival. We were getting so many that finally we just set a date. "We're accepting until March 1 and announcing on the 2nd" and that was that. We stayed up until 2:00 am screening them all on March 1st. Our list of accepted films was posted about five minutes before midnight on the 2nd. We received a ton of awesome films and it was unfortunate we couldn't screen them all. I'm happy with the film we chose. Next year we may be able to have more blocks of screenings and therefore accept more films. Why did you choose to screen indie films? All founders are indie filmmakers who are friends with indie filmmakers. We wanted to showcase ourselves and our friends so it made sense to only accept indie films. We are also very DIY in attitude when making Cat Fly so narrowing down the films to creators with similar mindsets happened very naturally. Just make films as much as you can with whatever equipment you can get your hands on. Reach out to other filmmakers your age- they'd probably love to collaborate. Never think you can't just because of lack of funds or experience. The only way to get more experience is to practice. More funds will come with more experience. 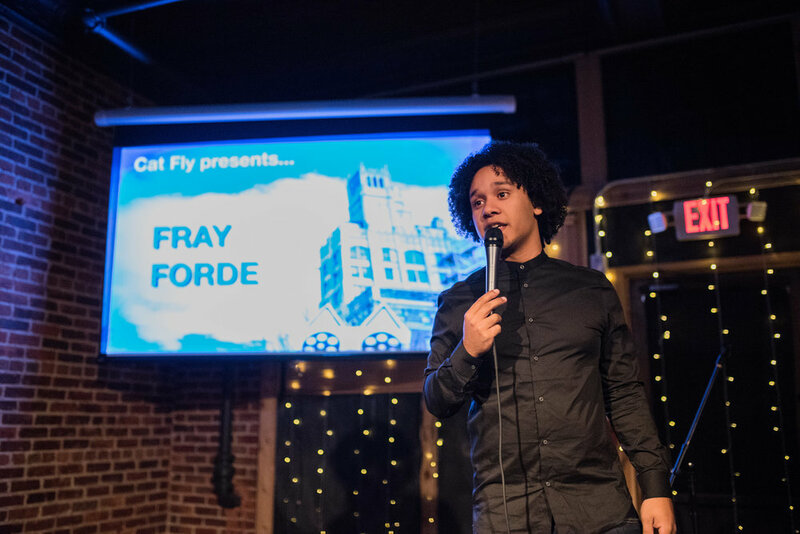 What future is in store for CatFly? We definitely want to do another three day festival next year. This year was such a blast and such a success it seems crazy not to do it again- hopefully on an even larger scale. We'd also like to do smaller screenings a few times a year- we have some ideas in mind for the summer, but that's still in the very early planning stages. If any filmmakers would like to hire us to create screenings/premiers for individual films as their films are completed, we are open to that as well and invite them to reach out. To learn more about CatFly and stay up to date with events visit their website. To learn more about "Good Hair" and find a screening near you visit here and watch the trailer below. To see more images from the weekend long festival - scroll through our gallery below.